22.09 sq. ft. per case; 1,325.4 sq. ft. per pallet; 60 cartons per pallet, case weight: 33.6 lb. ; pallet weight: 2,016 lb. 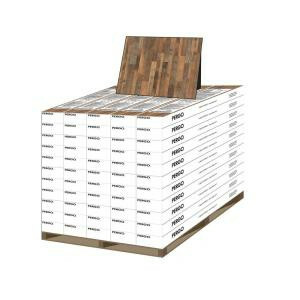 Buy online Pergo XP Reclaimed Elm 8 mm Thick x 7-1/4 in. Wide x 47-1/4 in. Length Laminate Flooring (1325.4 sq. ft. / Pallet) LF000851P, leave review and share Your friends.